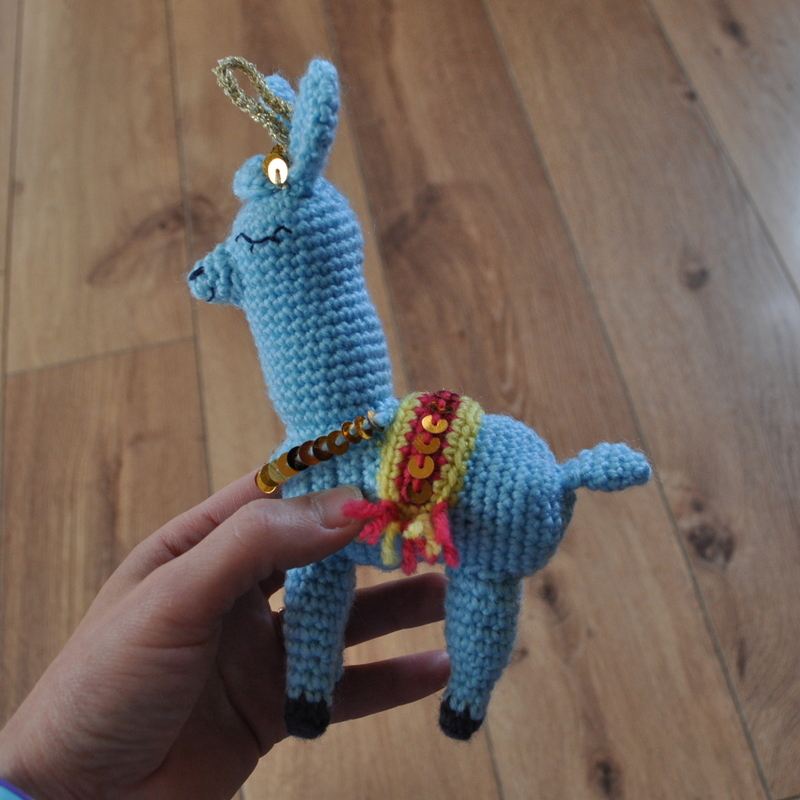 I'm still cracking on with the backlog of Simply crochet kits that I've amassed, here is the latest off the hook - Fa-la-la-llama by Erinna Lee. 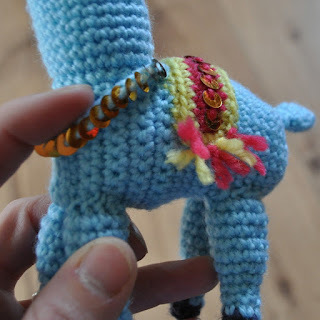 Quite a fiddly make to do, lots of small pieces to crochet and then join together including some tricky embroidery on the face using separated yarn... which ended up pulling apart so had to make do with some doubled up thread. When I made up the sequined reins I decided to crochet them straight into the chain which I think gives them a much neater finished than the method in the pattern.